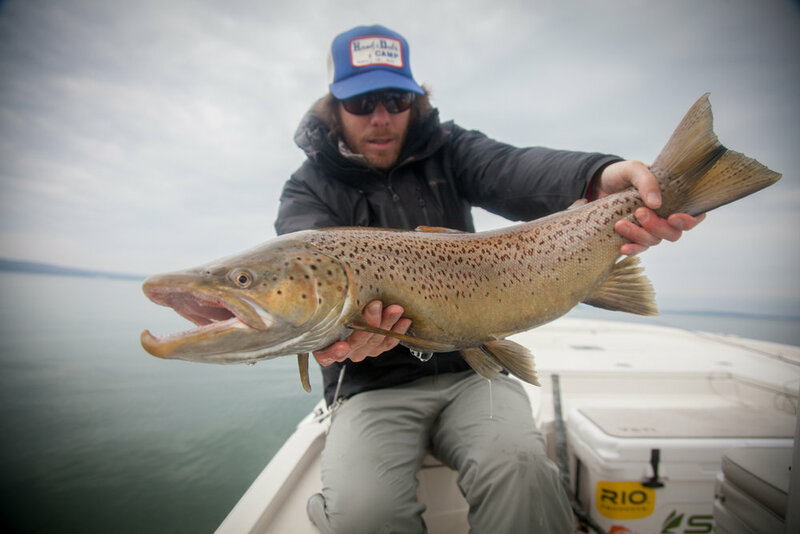 The Apostle Islands region is fast becoming a spectacular brown trout fishery. Large seeforellen strain brown trout have created a unique nearshore fishery and we take advantage of these fish utilizing light tackle and fly gear. Our trout trips are 100% casting, no trolling. We fish some unique shallow water structure and give you a shot at big brown trout on light tackle. Prim season is Sept.-November as well as April into May. Brule River Steelhead are famous for their tenacity and fight and our walk and wade fly fishing trips are a great chance to experience one of the most beautiful and famous rivers in the country. April and October are the best times to be on the river with the fall fishing being our personal favorite. The summer months of July and August can be an incredible time to experience a float down a northern Wisconsin river for smallmouth bass. We can arrange a guide to accommodate you for a scenic trip in a unique setting. Western style drift boats allow for a comfortable day on the water and are a great way to experience the warm water rivers of northern Wisconsin. We are proud to work with Ranger Boats to give you a comfortable and reliable day on the water. 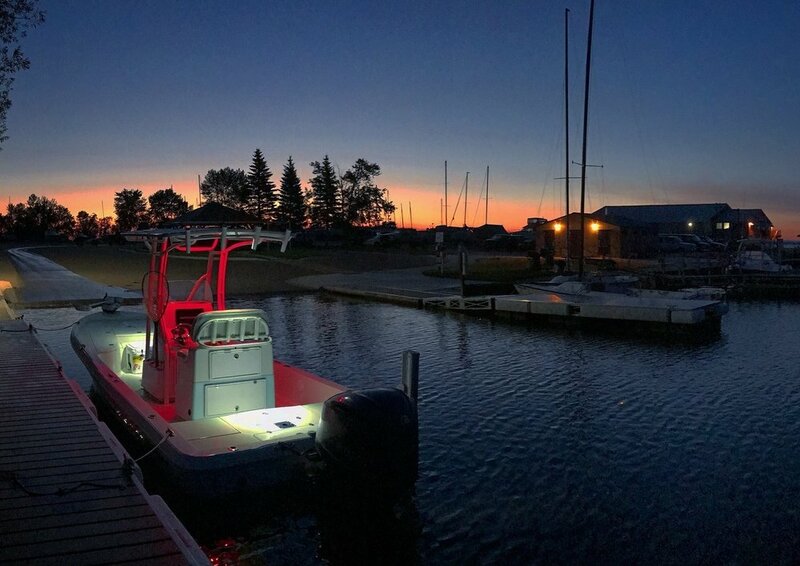 Our fleet consists of two 191 Ranger Cayman flats boats and a 2310 Ranger Bay Boat. 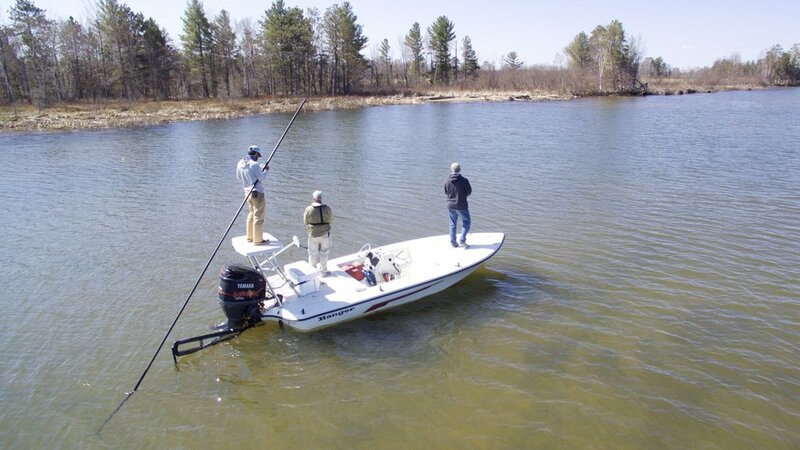 Weather its shallow water smallmouth fishing or big water brown trout in the islands, these rigs can do it all.